Pies, pies and more pies! That’s what it’s been about in this house for the past 2 weeks so today I’m sharing a collection of pies brought to you by Foodie.com and a recipe for Sweet Potato Pie. 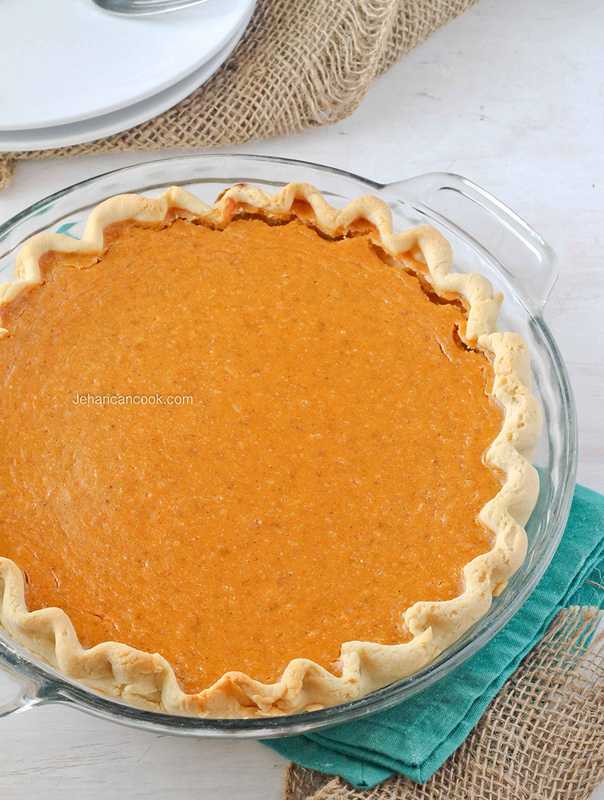 I’ve made 3 pies in the past week and had to share this recipe for the best Sweet Potato Pie I’ve ever had. 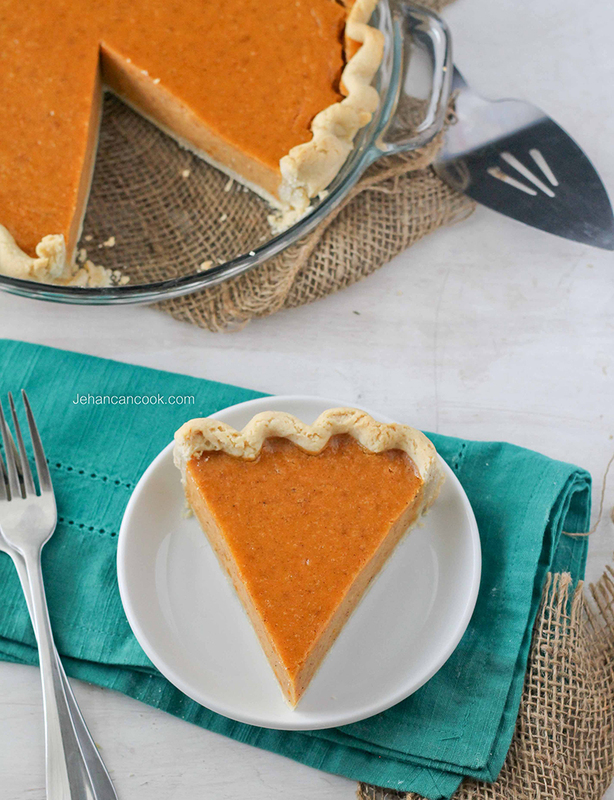 While I’ve had sweet potato pie before, I’ve never made it so I was exciting to give it a go. 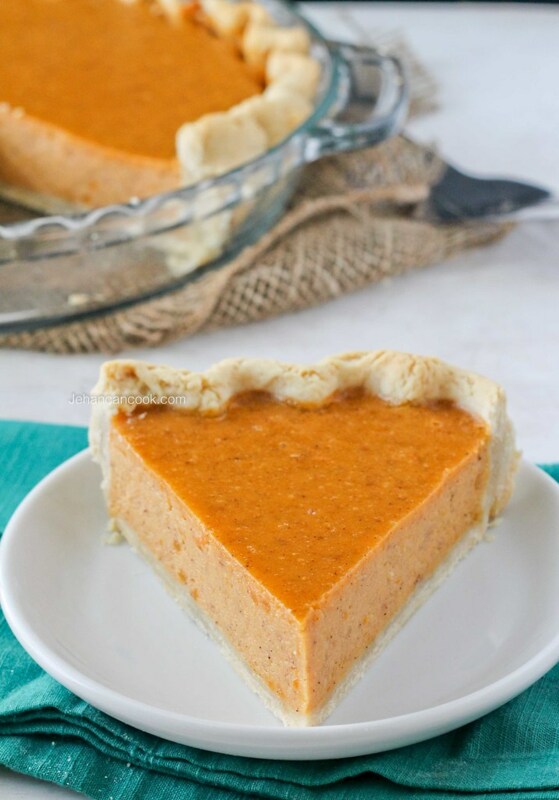 The addition of pure maple syrup and warm spices (ginger, cinnamon, cardamom, nutmeg and allspice) gives this pie amazing flavor which reminds you of the holidays. The mellow crust is simple and requires no refrigeration! Will you be making a pie this Thanksgiving? 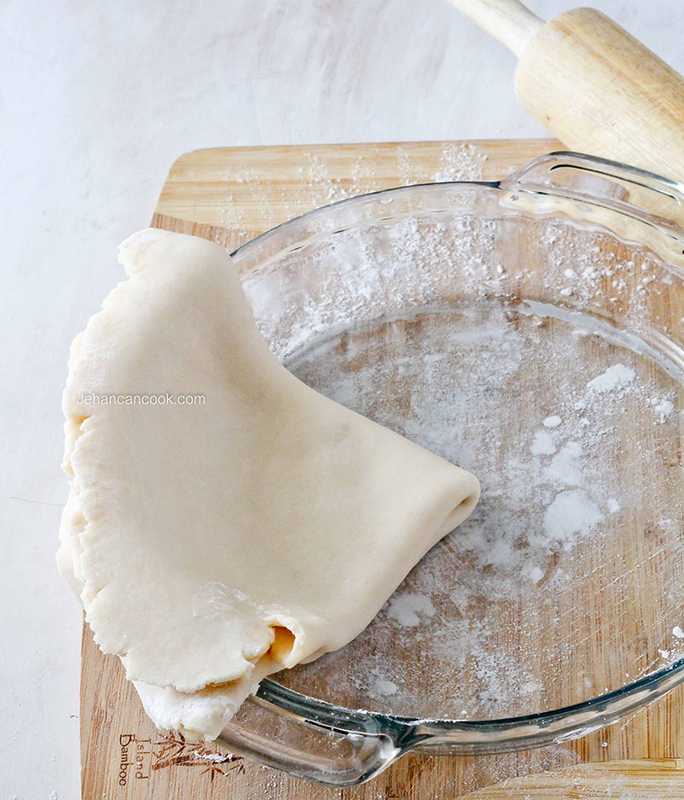 To make the pastry, place flour and salt into a bowl and stir together. Add butter and shortening and using a pastry cutter, cut into flour until the pieces are peas sized. Add water and mix to combine then form into a flattened disk. Roll into a 12 inch circle. Fold into half, then into half again then place in pie dish and unfold. This prevents the dough from tearing. Trim pastry but make sure it overlaps the plate about ½ inch. Fold pastry under then crimp to form a decorative edge. Prick the bottom and edges with a fork. Line the bottom with foil and bake for 8 minutes. Remove foil and bake for an additional 6 minutes. Cool on a wire rack. To make the filling: I roasted 2 large sweet potatoes(skin on) that I pricked all over with a fork at 400 degrees until it was soft when pierced with a knife. I then allowed it to cool before removing the skin, then I puree it in my food processor to make it smooth. I recommend doing this if you do not want a lumpy or stringy filling. This step should be done ahead of time. 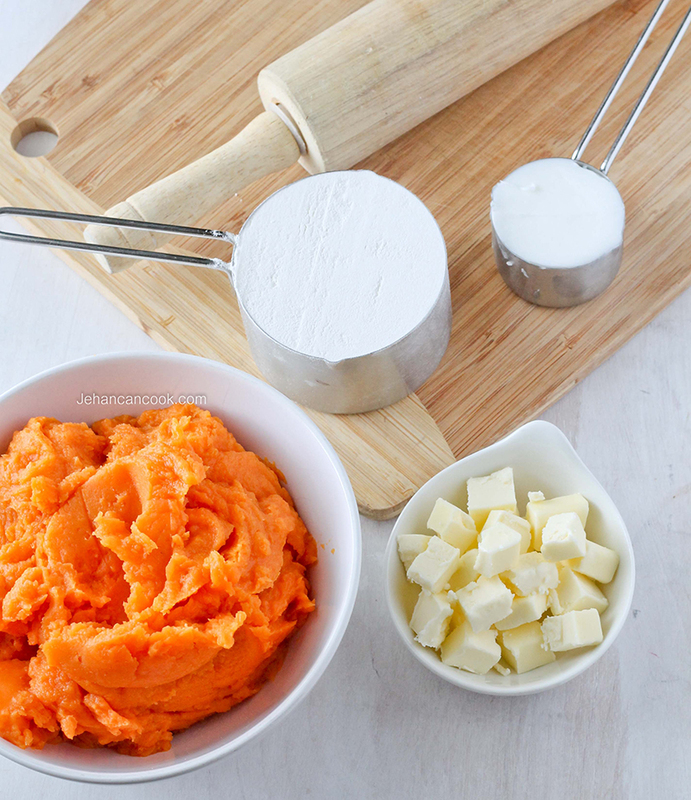 You can also use canned sweet potatoes but I highly recommend making your own puree. In a large bowl add 2/3 cup sweet potato puree, sugar, maple syrup, ginger, cinnamon, nutmeg, allspice and salt then stir together. Next add eggs and milk then beat with a mixer until combined. Pour into prepared pie shell and bake for 45-50 minutes until the center is set. Place on a rack to cool. Allow to cool completely before serving. This Post was brought to you by Foodie.com and Mode Media. I was compensated for this post. This pie is absolutely gorgeous! Pinned! Cider-braised chicken on the blog, please, pretty please?